One of the most effective ways of treating a damaged, weakened hair today is considered the hot wrap or silk lamination. The result of this salon treatment will be noticeable within three weeks. Silk – salvation for dry, thinning, split ends and colored hair. Hot wrap allows just one treatment significantly improve the condition of curls. Useful components contained in the silk, during lamination penetrate into the core of the hair while protecting the scalp. Laminating or hot wrap hair with silk shown in many cases. The active substances allow you to restore damaged hair, reduce inflammation of the scalp. Smoothing action helps to restore the Shine to your curls to make them more manageable, alive. Immediately after a hot wrap for hair may be a manifestation of redness of the scalp, which may persist for a few minutes. Hot wraps silk has virtually no contraindications. Moreover, the procedure can be repeated several times, almost immediately after the completion of the previous lamination. Wrap shown when split ends, severe hair loss, after dyeing or perming. Also "first aid" in the form of silk wraps will help in the presence of cracks, irregularities of the scalp, frequent inflammation. It is recommended to do hot wraps hair before coloring to reduce the negative effect of the coloring compositions. To perform the lamination is 2-3 weeks before an upcoming painting. Using a hot wrap silk you can restore the lipid level and increase elasticity of the skin. 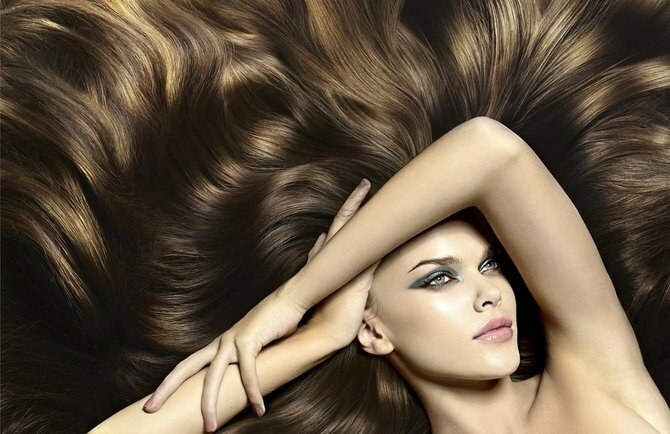 Treatment providing maximum hydration to the hair, consists of several stages. To perform the lamination by silk is only checked in the cabin, so as not to harm the hair. Hot wraps silk can be run on already dyed hair – just wait 3-4 days after you give the strands the desired shade. 1. Deep cleansing of the skin. On the hair shampoo is applied with a protein content of silk. After shampooing, it is sufficient to wet hair with a towel. 2. Application of the composition. Using a comb, the wizard is applied on strands a tool for silk wraps, retreating from the roots. The composition should be evenly distributed and leave it to soak for 5 minutes. Cover the curls with a film or cloth should not be, then the tool is washed off with running water. 3. The result of consolidation. Wet hair for 2 minutes and apply a special serum, after which you can rinse composition. On average, the procedure of hot wraps silk lasts about two hours. After performing lamination of hair you can apply cosmetics for home care, they will prolong the therapeutic effect.